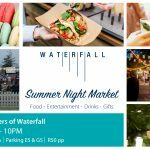 Voted Johannesburg’s most family friendly market we pride ourselves on the numerous play areas and kids activities on offer. Our happiest customers are in fact those under 12. 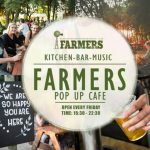 The owners, Zoë and Greg Straw are parents of two young children and the child friendly atmosphere was born out of a search for a safe, family friendly, outdoor environment in Johannesburg. Fussy eaters? Worry not. We have an array of child-friendly meal options on offer including fresh fruit juices, bubble teas and smoothies, pizza, sushi and macaroni cheese. We have also recently upgraded our baby changing facilities for your convenience. Furry children are also extremely welcome and Farmers loves all of our four-legged friends. This is undeniably one of Joburg’s most dog-friendly spaces. Responsible, pet loving owners parade the most beautiful canine friends from pretty pedigrees to charming rescues and there are bespoke stalls catering to pet owners.